In 2004 the guitar was added to the roster of instruments taught at the Yehudi Menuhin School. Bursaries for guitar pupils were initially provided by a charitable donation from the Rolling Stones and the project has since gone from strength to strength. The subsequent success of alumni Tom Ellis, Laura Snowden and Kevin Loh clearly demonstrates the benefits of studying the guitar at YMS. Living and studying alongside bowed-string players and pianists makes YMS the perfect environment for young guitarists: they learn a lot about self-accompaniment from listening to the pianists, and the violin and cello are role models for the production of a singing, legato line. The School owns a 64cm scale concert guitar by Rohan Lowe for the use of younger pupils who are not yet ready for a full-size instrument. Guitarists at the School receive two separate hours of individual tuition each week from their principal teacher and one hour from the assistant teacher. This allows for a highly focussed and extensive technical training as well as time to work on a full range of solo repertoire. In addition to preparing for the termly assessments they are expected to present repertoire in performance roughly once a term. YMS guitarists play together in ensembles and the older ones have the opportunity to play chamber music with, and accompany, bowed-string players. There are regular teaching visits from international artists such as Tilman Hoppstock, Jonathan Leathwood, Paolo Pegoraro, Pavel Steidl and John Williams. Since graduating from the Royal Northern College of Music, Richard has pursued a highly varied career in both classical and popular music. His performing career has encompassed everything from contemporary music groups such as the London Sinfonietta to film and TV sessions and membership of the critically acclaimed rock group Latin Quarter, best known for their 1985 hit Radio Africa. He has worked with musicians as diverse as composer John Adams, guitarist John Williams, English folk roots star Christine Collister and Zimbabwe’s legendary Bhundu Boys – and has appeared everywhere from New York’s Lincoln Centre to the Glastonbury Festival. 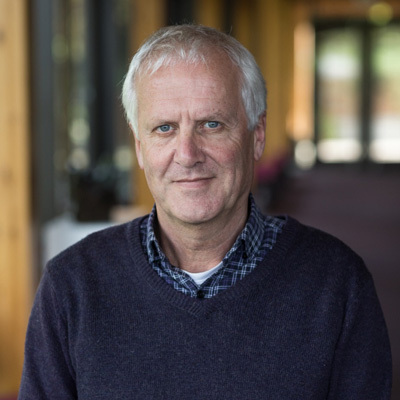 Above all, Richard is an internationally recognised teacher of the classical guitar and its pedagogy, with a special interest in the problems of early learning. He designed and delivered a teacher training course for guitarists in Venezuela on behalf of the Proyecto Cultural Mavesa and has lectured on guitar pedagogy in the UK, Holland, Germany and the USA. He led the classical guitar team for A Common Approach 2002, the Federation of Music Services’ national curriculum project for instrumental and vocal teachers. In 2004 Richard became the Yehudi Menuhin School’s first teacher of guitar. In his capacity as a guitar consultant for ABRSM, Richard helped develop the Music Medals scheme and the current guitar syllabus. He co-edited with Peter Batchelar the supporting publications for the syllabus, including the Scarlatti and Weiss albums and the two volumes of Time Pieces. In addition he co-wrote, with Alan Bullard, the guitar version of Joining the Dots, Bullard’s highly innovative series of sight-reading books. Richard’s groundbreaking edition for guitar of Bach’s Cello Suites I–IV was published by Cadenza Music in 2008. Handpicked by Julian Bream to give a recital at the Wigmore Hall in 2015, Laura is a winner of the Tillett Trust, St John's Smith Square, International Guitar Foundation and Making Music Philip & Dorothy Green young artist schemes. Performances have included Buxton Festival, Kings Place, BBC Radio 3 (live), and Shakespeare's Globe with Tir Eolas at the invitation of guitarist John Williams. Her compositions have been commissioned by London Guitar Festival and Deal Festival, and premiered at Sadler's Wells. ; her song Live Free was performed at over three hundred simultaneous concerts in over sixty countries. 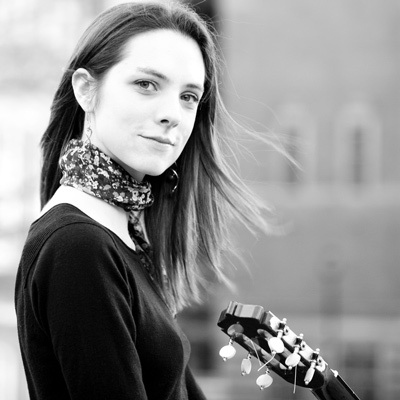 Laura began her studies at the Yehudi Menuhin School, where guitar tuition was made possible by a donation from the Rolling Stones; she went on to study at the Royal College of Music, winning the Guitar Prize in her first year and the Ivor Mairants Guitar Award in 2014. Laura is a passionate advocate for creativity through music, particularly in her composer-performer partnership with violinist and composer Joo Yeon Sir. The Snowden-Sir duo were invited to give a series of workshops at the Royal College of Music's Junior Department, resulting in twenty eight new pieces being written for the duo. Laura's principal teachers have been Richard Wright (Yehudi Menuhin School and Royal College of Music), Gary Ryan (RCM), Carlos Bonell (RCM), Julian Bream and Tim Salter (composition). She plays a guitar made by Christopher Dean. Laura would like to thank the following for their much appreciated support:The Simon Fletcher Charitable Trust, the Julian Bream Trust, the Countess of Munster Trust, City Music Foundation, the Tillett Trust, the RCM Creative Careers Centre, St John's Smith Square, Live Music Now, the Concordia Foundation, the Worshipful Company of Musicians, the International Guitar Foundation, John Lewis, Robert McFadzean Whyte and Jacqueline Ward. Laura would also like to thank the Lions Club of Great Britain and Ireland 'in particular the COGS' for their kind help and ongoing encouragement. You did not add any items to the accordion.